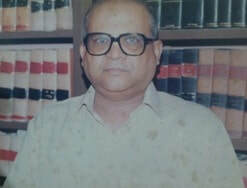 Late O.P Jalan was a leading Tax Practioner based at Ranchi. During his course of Practice he was representing cases before the Ld. AO’s. He was amongst the first to start the practice before the Hon’ble Patna High Court, Ranchi Bench in the year 1979. He was instrumental in getting judgments from the Hon’ble High Court then is more than 600 cases filed within a span of two and a half years which reached the finality and thereafter he gave a base to tax practice before the Hon’ble High Court at Ranchi. He had been appointed as amicus curae in a plethora of cases before the Hon’ble High Court at Ranchi. The firm is currently headed by the Managing Partner. Mr. Vinay Kumar Jalan, FCS, LLB, who has been in practicing in the legal arena of tax practice for about twenty five years.